cursive handwriting worksheet downloads survey children learn cursive and print handwriting sheet worksheets? 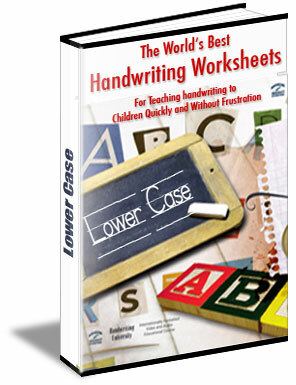 Who else wants to download easy to learn handwriting worksheets for kids? These handwriting worksheet booklets endorsed by Handwriting University's Bart Baggett, handwriting expert and author. As seen on CNN's Larry King Live and Fox News. Australian School Teacher Cracks the Code to teaching child to write printing and cursive with no previous experience, and no crying, embarassement, and frustation. This webpage allows you to download over 200 pages of her custom designed Handwriting Worksheets previously only available in her Sydney classroom! We all know the importance of good 'handwriting'. Some children have it and some don't. You probably already know that chidren with more legible handwriting score better on standardized testing worldwide. So, if you are after handwriting worksheets to improve your child's handwriting then you have come to the right place... you can download easy to follow worksheets, right now. My name is Bart Baggett. I'm the president of Handwriting University and you might have seen my on such shows as Larry King Live, the Today Show, or even Court TV. When it comes to handwriting, I'm the "expert" "they tend to call first. Now, when I heard a sweet school teacher from Sydney Australia had "cracked the code" to effortlessly teaching 3-5 year olds to write without tears or frustration, I was fascinated. You see, over 15 years ago I wrote a best-selling book called "Change Your Life in 30 Days" Workbook for kids. But, it was for kids that already knew how to write, at least age six. I had nothing in our curriculum to teach handwriting from scratch, the right way... until now. The secret is simple... it's training the finger muscles correctly, from the beginning, the brain builds effortlessly on the "muscle memory". The Start Points And Pen Routes Teach Your Child To Write The Right Way And Overcome Poor Handwriting Habits - TEACH WITHOUT TEARS"
The best age to develop good handwriting skills is between 3 and 10. As parents or teacher,s it is our responsibility to find the best method to teach this important neuro-muscular skill at an early age. And, if they embrace writing, they will obviously embrace ready, too. So how do you help you child learn to write, the right way... avoiding mistakes that must be corrected later through pain and emotional upset? This course is the answer. I'm even offering it today, at a hugely discounted price, because I haven't even had time to publish it the bookstores. So, get this book now, before the price goes up to retail. I'm practically given them away because we want lots and lots of real "reviews" to add the book jacket and this website! We have collected the "best of them" here, in one place, here. You can download them all right now, for less than the price of school lunch. That's right. Your child needs to practice, practice and practice...Practice is the secret behind good handwriting. These worksheets make practice fun. Handwriting practice doesn't have to be painful! Kids who practice more, the right way, end up with legible handwriting. If your child practices the alphabet letters and numbers the wrong way then you end up learning wrong handwriting skills that must be corrected at an older age, which can cause tons of frustration and even psychological issues, because kids compare themselves to other kids. The lastes research in the field of child development clearly states a step by step approach to developing handwriting skills in needed. The evidence is very clear that handwriting is build on specific hand movements and those "core" movements can be trained first using special shapes. In the workbooks you are about to download, you will find that first the child draws simple curves and straightlines. This will help them to learn to move the pencil correctly and with fluidity. 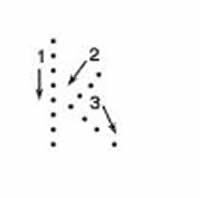 You must have a child master these basic shapes before we add the many twists and turns of the full alphabet. So what makes these handwriting worksheets so unique? Your child MUST develop his/her fine motor skills first. Fine Motor Skills are the ability to control small precise movements with the fingers, wrists and hands. There are numerous activities in the books which develop these skills. So can't I just write the alphabets in a notebook and get my child to practice? Not a good idea again. We need the letters to be written the right way. Otherwise you end up confusing your child. You might end up doing more harm than good. All the letters used in these handwriting worksheets are approved by the Educational Software Cooperative. I can't believe the change in my son's handwriting since I bought these handwriting worksheets. I love the innovative exercises provided in these books. The step by step approach in these handbooks is excellent. Thank You. These are the best quality and most afordable handwriting books in the market. I am so glad I made the purchase. My daughter's teacher was surprised at the improvement in her handwriting. What Are The Numbers On The Letters? 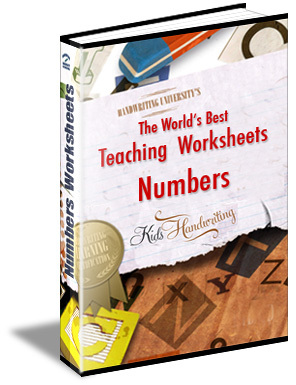 We begin the alphabet writing in these 'handwriting worksheets' with numbers on the letters. The child has to follow the numbers. These numbers teaches the child the right way to write every alphabet. The workbooks start with some simple exercises to provide rudimentary skills and then move to the letters themselves, which are provided with full guidelines to help trace the path. Once comfortable with the traced versions, the child can move on to writing the complete letters using guidelines. 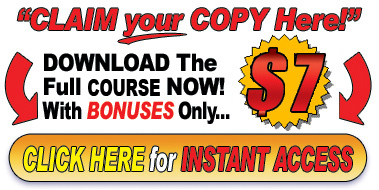 This is an instant PDF download. Contains over 101 pages of lessons. Print it out from any computer (PC or MAC). 60 Pages Of Exercises In This Book Alone. Perfect activities for any child! This ebook has innovative and fun activities for the pre-schooler aimed at improving word-based skills. * What do you use? Now , You can have all four for less than the price of one. These books are easily sold seperately for over $12.95 each. That is over $52 if value. But, during this promotional offer, you to download them, all FOUR, for just $7. Yep. Seven bucks. Best of all, you get instant access and no shipping fees because you download them to your computer, right now. All These Four Books For Only $7.....Thats Right - For $7 You Get Instant Access to all the ebooks listed above: The Uppercase Handwriting Book, Lowercase Handwriting Book, The Number Book and The Word Gymnastics Book. 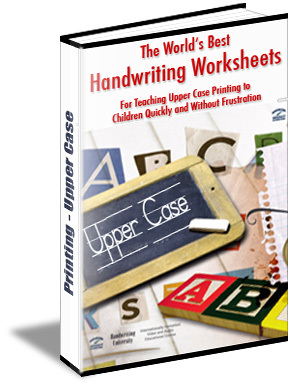 Buy The Handwriting Worksheets Through Our Secure Website using any credit card or paypal. Instant download. P.S. Yes, your purchase is guaranteed. If you are not completelly satisfied, get a full refund, and keep the books. About this site. Myhandwriting.com is the world's most visited website on the topic of handwriting analysis, handwriting worksheets, and teaching better cursive kids handwriting sheet techniques. Bart Baggett, of Handwriting University.com has written many books on graphology and other handwriting related topics. Your questions will be incorporated into the upcoming kids handwriting book available at TeachKidsHandwriting.com Which will help with cursive handwriting sheets. Information about "Teaching Handwriting" on the Web.